In 1722 Jean-Baptiste Rousseau was 52 years old and recently arrived in Brussels. 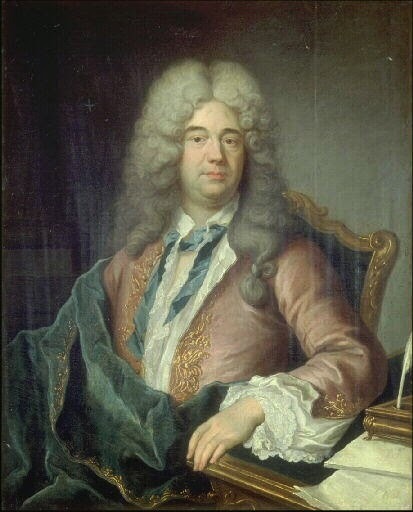 In 1712 he had been embroiled in a legal dispute over some defamatory verses and condemned to exile from France. Permission to return had been offered in 1716 but, since it was not accompanied by a complete rehabilitation, Rousseau had refused and, apart from a brief clandestine visit in 1738, was to spend the rest of his life abroad. After some time in Solothurn (Soleure) in Switzerland under the patronage of Prince Eugene of Savoy he had settled in Vienna and now travelled to Brussels, which was at that time part of the Hapsburg Empire. Rousseau enjoyed - and continued throughout the century to enjoy - growing acclaim for his poetic accomplishment. Even before he fled from Paris his still unpublished poems had won him enough renown for him to be referred to as a "Rousseau, famous poet". Rousseau went to considerable lengths to get authorised versions of his works published and set the record straight. He had a first edition of his collected works published in Solothurn in 1712 and a second was shortly to appear in London in 1723. Much of this verse, on which Rousseau's 18th-century reputation rested, consisted (according to Wikipedia) of "formal and partly sacred odes and cantatas of the stiffest character", of which the most famous was the Ode to fortune. Rousseau hadn't entirely abandoned his biting wit, but he sought respectability and rehabilitation. His correspondence with Brossette, the editor of Boileau, reveals a writer who aligned himself with such Catholic poets as Louis Racine and with the Jesuits of the Journal de Trévoux who were among his most devoted admirers. In 1722 Voltaire was 27 years old and riding high on the wave of the recent success of his tragedy Oedipe. Having taken on Sophocles to acclaim he was now seeking to rival Homer himself with his new epic poem the Henriade. His acquaintance with Rousseau went back a long way - to 1710 when at the end of his year of "rhetoric" at the College Louis-le-grand, the young Arouet had been awarded first prize for both Latin discourse and Latin verse. At the prizegiving, his master, Father Tarteron introduced him to Rousseau, who was in the audience (see Rousseau's account below). Following this first encounter, Voltaire had tried to cultivate Rousseau as his patron in lyric poetry. 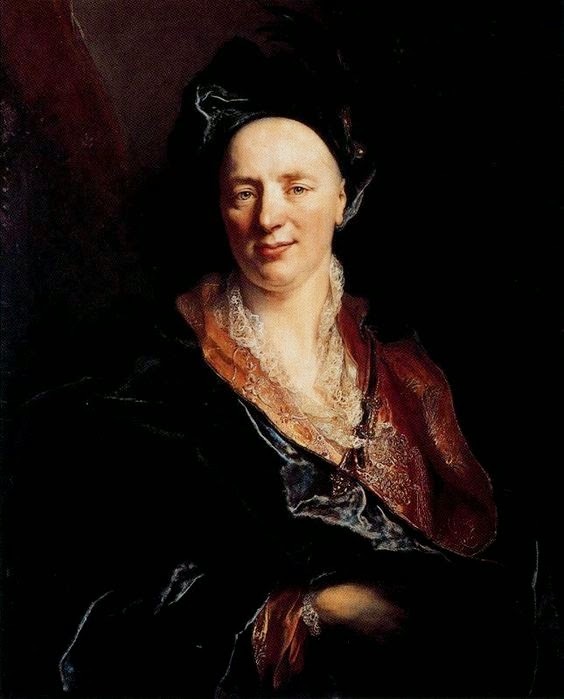 In 1712 he had contributed to the collection made on the newly-exiled poet's behalf by Madame de Ferriol (the mother of his friend d'Argental). Only his father's intervention had prevented him composing verses in Rousseau's defence. He continued to correspond with him sycophantically in exile - it was to Rousseau that he first announced his change of name to "Voltaire" (sending Oedipe in 1719). 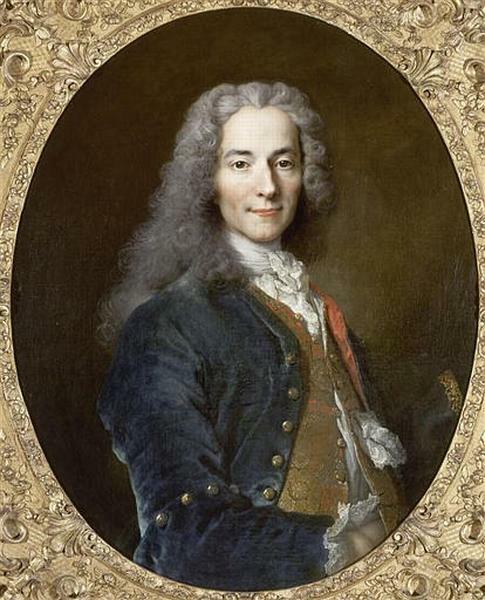 The elder poet tried to warn him away from the composition of satirical verses, aware as he was that "there is nothing more dangerous than to make yourself known in society before you understand its workings" (Letter of 1717 following Voltaire's youthful arrest and incarceration). During six weeks en route in Brussels and at the Hague Voltaire was fêted and enjoyed himself immensely; he was taken to a brothel (Marie-Marguerite notwithstanding), rode every day, played tennis, drank tokaji, and felt so well that he was astonished. Madame Rupelmonde's religious scruples - only increased by Voltaire's unseemly ridicule of a Mass they attended in Brussels prompted her companion to pen the daringly deistic Epître à Uranie. in which the vengeful Christian god is abandoned in favour of a more comforting and forgiving "Father". Voltaire spent several days in Rousseau's company on the outward journey to Holland, but the crucial encounter took place when they met up again on on the return journey. With Madame de Rupelmonde still in tow he stopped off again in Brussels and sought out out Rousseau. It was at this point that everything was spoiled. Voltaire had begun to find the exiled poet something of a bore and was less patient with him than before. But he had still to comprehend Rousseau's conventional religious piety. In the course of a carriage journey in the environs of Brussels Rousseau began to read from his latest works, the Ode to posterity and The Judgment of Plutus, an allegory against the Parlement of Paris. Voltaire could not resist commenting that was not the work of "the great Rousseau" and that the poet had "lost his talent but conserved his venim". He then offered up his latest poem, the Epître à Uranie for the appreciation of "the father of Numa" (ie. the author of the Moisade, which Rousseau clearly was not) . He did not get very far into the recitation before a petulant Rousseau asked be set down rather than listen to any more of this terrible blasphemy. They patched things up and went to the theatre together in the evening, only for Voltaire to ruin relations definitively with a vicious parting quip that the Ode to posterity was unlikely ever to meet its destination. Henceforth, as Duvernet commented, the two poets remained "tout à fait brouillés". René Pomeau, D'Arouet àVoltaire (1985) p.148-149. In one of their promenades, with Madame la Comtesse de Rupelmonde as the sole third party, Rousseau read his Ode to posterity and then the Jugement of Platus. This last work was a violent satire against the Parlement of Paris...Interrogated on his satire, Voltaire replied that it was not worthy of "our master, the good and great Rousseau". The amour propre of the elderly versifier was offended by this frankness.....Take your revenge, Voltaire said, here is a little poem that I submit to the judgment and correction of the "father of Numa" Before the reading was finished, Rousseau, in an aggrieved tone said, "Spare yourself, Monsieur, the trouble of reading more. It is a horrible impiety". Voltaire put the poem back in his portfolio saying, "Let us go to the Comedy; I am sorry that the author of the Moisade hasn't warned the public that he has become a dévot". After the performance, Voltaire spoke to him of his Ode to posterity, and in caustic tone said, "You know, master, I belief that this ode will never arrive at its destination..."
Thus a relationship which started off with mutual respect ended up in a bitter quarrel. Letter of Rousseau, "On the calomnies spread against him by the Sieur Arouet de Voltaire", .22 Mai 1736. 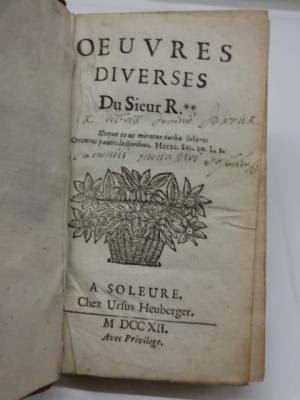 Lettres sur divers sujets (1750) Vol. 5 p.235-261. Some ladies of my acquaintance took me to see a Jesuit tragedy in the month of August 1710. At the prize-giving which followed, I noticed that they called up the same schoolboy twice, and I asked Father Tarteron who this young man was who so distinguished himself among his comrades. He told me that it was a boy who had a surprising bent for poetry and he proposed to introduce me; to which I agreed. He went to fetch him and I saw him return a moment later with a young scholar of about sixteen or seventeen, with a rather unattractive face but a sharp, alert look in his eye, who greeted me with very good grace. I was still in Vienna when he sent me his tragedy Oedipe...I replied to him in a manner which would have satisfied a more reasonable man ....He sent me some time afterwards a copy of his Poeme de la Ligue. 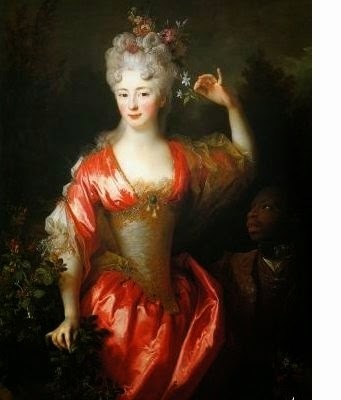 [A few months later Voltaire arrived] in the party of Madame de Rupelmonde whose domestic affairs called her to Holland. I cannot restrain myself from recounting here the manner in which I learned of his appearance in Brussels. Monsieur le Comte de Lanoy asked me who the young man was that he had just seen in the Eglise des Sablons, who had so scandalised everyone by his indecencies during the service that people had been on the verge of throwing him out. Moments later I received an announcement from Voltaire's that he had just arrived. I decided to restrain my feelings for the time he remained in Brussels and everything was going well until one day he invited me on a carriage ride out of town. He took it upon himself to recite his Epître à Julie, a poem filled with horrors against everything we hold sacred in religion, and against the person of Christ himself, who was qualified by an epithet that I cannot recall without shuddering. It was so marked with the blackest impiety that I felt I would have failed religion and the public if I had listened to any more of this frightful work. I finally interrupted and very seriously told him that I could not understand why he had addressed to me such a detestable confidence. This portrait of Rousseau by Largillière, apparently dated 1710, is now in the Uffizi. It is splendid, much reproduced but with no accessible notes on provenance. I can find only one documented early portrait. The whereabouts of the Van Schuppen portrait is unknown. EITHER: For some reason didn't mention the (much earlier) portrait by Largillière. OR: This is in fact the missing painting by Van Schuppen, an accomplished artist who had studied under Largillière. But, of so, why should it be misidentified and how did it get to be in Florence?